(Epileptic, etc ) However, removable full dentures are better than no teeth at all and you can always put the implants in later if your financial situation improves. Contact the state you live in for their state aid insurance..
Hi, I’m 40 years old and I have 3 kids, 3 of my bottom front teeth are loose and need to be pulled out, I was laid off from work and I’m unemployed, I was told it will cost me more than $10,000 if I want to get implants and about $8000 if I decide to get a bridge. I cannot afford it and i’m asking if I can be directed to any places where I can get dental help. Thanks. Hi, I had a bridge about 7-8 years ago to replace one upper front tooth that cost very little. The periodontist I was seeing extracted the tooth and then shaped and bonded it right back in its original place to the two adjacent teeth. I much preferred it to any type of false-tooth pontic because it was my own and already the right shape, size and color. In addition, there was no grinding down and/or expensive capping of the adjacent teeth as so often is recommended. Having other dental problems, I no longer have that bridge but it was no problem in itself. I don’t know how long it would have lasted versus other options but when you start researching things you realize that none of them are that risk-free. Have friends who had failed implants and caps. The latter often enough can decay underneath. Good luck. I am 28 years old mother of 4 beautiful kids. Everytime I got pregnant I have lost a tooth. Also my canine teeth in the front decided not to grow in. I used to get made fun of for my teeth when I was a kid. Even adults would make fun of me. I just lost 2 more of my front teeth. I feel awful about myself. I don’t want to smile or talk to anyone. I am a nurse but with 4 kids and bills I haven’t been able to afford Dr get my teeth fixed. My teeth are just slowly rotting away…all of them….I wish there was something I could do. There must be someway I can get my teeth fixed. I hope there is….. Sorry Mike but they don’t cover dental,only children. And then it’s cut off at age 18..Angola I am so sorry you are having trouble. I don’t see anything that referring that they want just money.people want their teeth fixed and dental insurance coverage is a joke. It’s so expensive I know that you are feeling the way you feel.because I am in the same situation. If the dentist did not charge you a arm and a leg for every thing that they do, people would not have all the dental problems. They only work three and half days a week why? Because they make enough money in that amout of time so they can take half days and not work at all on Fridays. The cost of dental in the United States is outrageous. Point blank period. Hope that you can find a way to get all the work you need done. Best of luck to you. >>If the dentist did not charge you a arm and a leg for every thing that they do, people would not have all the dental problems. If what you state were true, then nobody on Medicaid would have medical problems because it is almost free. We all know that is not true, yet instead of seeking the source of society’s dental problems, you blame those who have the means to solve them. For example, did you know that 99% of dental related diseases are completely preventable. Just don’t expose your teeth to acidic foods and beverages, especially between meals, and brush and floss every night. It’s as simple as that. >>They only work three and half days a week why? Because they make enough money in that amount of time so they can take half days and not work at all on Fridays. My office is open Monday through Friday. We employ 18 people, and provide charitable care on a continuous basis. Most dentists who work four or less days per week have health issues, neck or back problems, or very low overhead because they are debt free. Also, most dentists spend at least 10 hours per week on nonclinical tasks such as human resources, office duties, continuing education, marketing, repairing their own equipment, etc. Ironically, if a dentist worked 60 hours per week they would be very wealthy. The truth is, most cannot handle that kind of stress or physical fatigue. 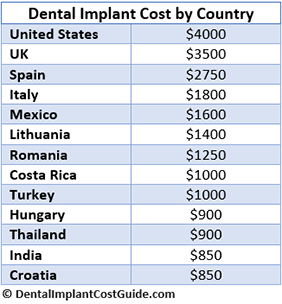 >>The cost of dental in the United States is outrageous. Did you know the cost of a single crown is roughly the same as it was in 1950 when measured by the value of gold? Why is it dentistry’s fault that our dollar has devalued so much over time? While it is expensive, so is any plumbing, electrical, roofing, automotive, medical, legal, or any other professional service. Also, to receive the same level of care in any other modernized country, you will pay roughly the same as the work you pay for in the USA as the cost of materials is roughly the same around the world. The main difference is the cost of labor and the cost of rent, but when you add the cost of travel, housing, and the inability to sue a foreign dentist in many cases for malpractice, the real cost of having work done in the USA is not so bad. Finally, when I provide charitable care at up to 75% off, which pays for my staff wages and a portion of the materials, I make sure the patient promises me they will quit smoking, drinking, or doing any illicit drugs. Why should I have to subsidize their luxurious behaviors when I can’t afford to do those things myself? After reading the opening arguement, it is clear your basis lacks any sort of reality. By that response, you are saying that because one would have medical insurance, wether Medicare/Medicaid or not, that nobody would have health problems. Go back and think about that "Dr." Last time I checked, people with cancer and other life threatening illness didn't get sick due to lack of insurance, they got sick regardless. And Medicare/Medicaid only covers a bare minimum. Case in point, if you go to a doctor and you receive poor care, depending on the type of visit you cannot get a second opinion if on Medicare or Medicaid. You can appeal, which takes a long time, or (we will say in the case of dentures) you can wait a year or more for that second opinion. Regardless, your basis for rebuttal are hilarious at best. I may be wrong, but I think you misinterpreted Dr. Kim’s argument. He’s arguing that the “cost” of dental care has no correlation to the source of a person’s poor dental health. Whether dental care is expensive or not, is has nothing to do with “why” people have bad teeth. That would be like blaming the cost of birth control for getting pregnant. Sure, costly dental care prevents many people from getting treatment, which may cause their teeth to progressively worsen, but it is not the “cause” of one’s initial dental problems. I smoked meth for 9 years and ruined my teeth. I’ve been sober 2 years and really want to fix my teeth. The cost to fix them and get the implants I need is around 10,000 I need as much help as I can get to lower the cost as I am a single mom of two boys. Any and all help will be appreciated! First understand that the primary necessity of teeth is to eat to nourish your body. To maintain health is also important. When those permanent teeth are gone there is no coming back. I am on a fixed income as well and can’t even fathom the thought of keeping rotting teeth in my mouth rather than get dentures. which if used properly will not fly out of your mouth spontaneously. What makes anyone in such a predicament, speak poorly about an option for a healthy pretty smile, simply because you prefer another more expensive option that clearly is not affordable. So either way you are asking someone to fix your teeth but only if it is with the most expensive dental treatment available. I don’t think that anyone willing to help would do so in that manner simply because. Answer this….Is your rotten mouth smile better than dentures? I feel sorry for you that you can have so little compassion for other people. As was already mentioned, sometimes dentures are not appropriate for all situations. And unless you have had to deal with the shame and embarrassment of having broken, ugly teeth, you really don’t know how it feels. It seems like you assume that people seeking this type of treatment are all lazy, entitled people who don’t want to contribute toward treatment, when most of the time it’s actually people who don’t have the means to contribute very much. How dare they want something that will look nice and feel comfortable and improve their self-esteem and health, right? I bet you are the type of person who says ugly things to people about their appearance and is then surprised and offended when they get upset about it. Because you’re “just sayin” right? How nice it must be to be up on your high horse and tell people what you’d do in their situation when you really have no idea. Thank you for a writting this❤! You can Google Grants for Dental Implants. There is money out there that does not have to be paid back. I am on disability with an income of $866.00 per month. I have 8 teeth left in my mouth and have not smiled in four years. I avoid social situations and am afraid I embarrass my grandchildren. All I want is to smile again. Growing up I always knew that I wasn’t pretty, but people always said I had a pretty smile. I used to be such a happy person. I never had money or possessions, but I had friends, family and just an enjoyment of life. My lack of teeth has diminished my happiness so much. Having teeth again would change so much for me, to be able to smile and laugh with my wonderful grandchildren would be such a blessing. please let me know. i am on social security too but since i worked under the table to support my children because i had no child support, i only get $379 a month! I have been living with an x boyfriend for years (no alternative) and can not afford any price at all. I am so depressed about not being able to get my mouth done! I am 64 years old, and so depressed. It makes me feel so ugly and i cannot smile. Feels helpless. If your pay is that low both of you qualify for and probably receive Medicaid or Medicare. Either can take care of your dental needs. From what I understand if you are disabled and /or over 65 and have Medicare they do not offer any Dental benefits unless you have Medicaid as well (which I know I and a lot of people don’t qualify for). The poverty level in my state is extremely low but I’m disabled and most of my money that I receive each month from SSD goes right back toward my regular medical bills and Rx. It’s hard enough to pay my bills each month with my income the last thing I can think about is paying crazy amounts of money for my long overdue; extremely necessary dental needs. If anyone has any suggestion please let me know. Thank You! Dentures are not covered! Extractions are. The theory is that people die from abscesses and related conditions (brain and heart infections), but not from toothlessness. Never mind the despair, loss of functionality, and poor nutrition folks are left with. And the state doesn’t care if you’re 20 or 60. Just once I got teeth paid for by Medicaid, for a client of mine. He literally couldn’t eat anything and was too psychotic to work around it. Now I need the help and can’t get it! Dentical has covered adults since Jan 2015. I have full dentures and they were covered by dentical. I just want to inform you that medicaid does not pay for tooth replacement for adults and only covers patient in pain. They will gladly pull your teeth but will not repair. Thats why you see so many poor people without them. And this woman does not qualify for medicare as she is only 64 and she probably will not be able to afford medicare anyway when it is available to her. Its so sad isn’t it. I truely wish i had the extra money to help this woman. Medicaid dental plans only cover getting teet pulled..Certainly not implants, root canals, crowns, bridges etc. They are considered cosmetic. Medicaid wud rather pull All teeth n give u dentures than pay for one implant, sad as it sounds. “Catholic Charities” is the only place that covers most all non-implant needs for ppl with no income. 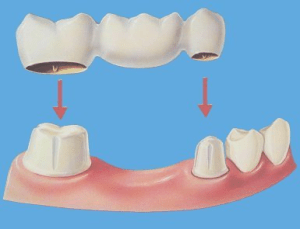 If u have 3 or more teeth out in a row, they will also cover crown/bridges. Not all people will benefit from denture wear and implant is the most viable solution to better overall health. You assume people just want the absolute best without regard to what they contribute, as in just a bunch of deadbeats that want something for free. This is sometimes true, but there also also legitimate needs to be considered. You obviously have not been put into any kind of situation like this, so I can understand your lack of understanding.